A luxurious gift for her, indulge in a moment of bliss with a replenishing blend of the finest oils. 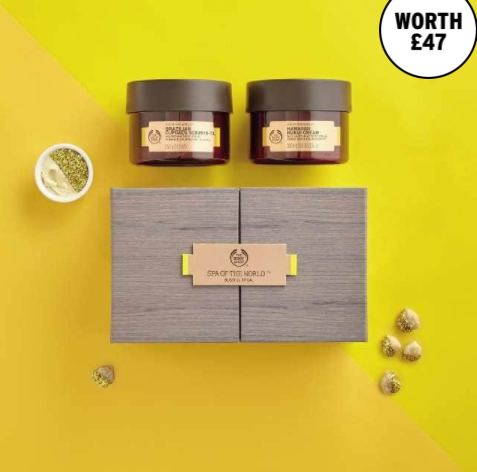 This thoughtful spa gift set includes two Blissful Ritual favourites. We’ve travelled to beautiful corners of paradise to find most luxurious ingredients. The Blissful Ritual combines rich, nurturing oils with solar fragrances to take you to an exotic place. 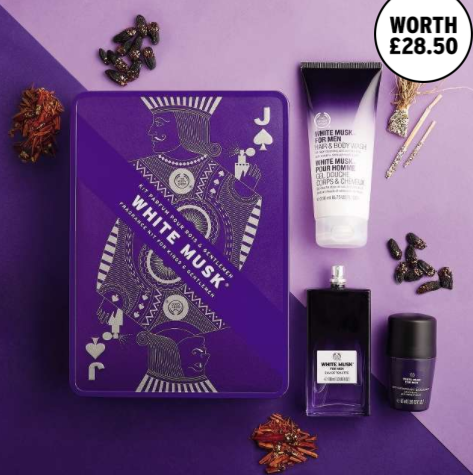 For all those well-groomed men in your life, make their day with this 3-in-1 White Musk® fragrance kit - perfect for staying fresh after a session in the gym. He’ll be wondering how he ever lived without it. Plus, the sleek packaging doubles as a game of spot the difference!